You learn a lot from owning a reptile. Back when I had my veiled chameleon there were not a lot of resources, such as the Reptile Care Center for learning about reptile care. So, I was stuck getting library books and learning things as I went. 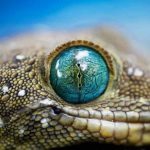 Things are easier now, with a lot of great internet resources such as the care center linked above, but there still are plenty of things you learn only after sharing your home with a reptile pet. 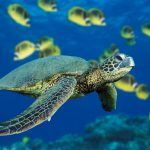 (1) Reptiles are more work than some pets, but it isn’t hard work. Reptiles require some extra attention. 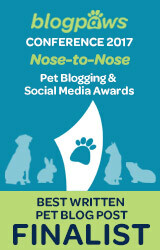 Feeding often involves live insects, and you may have to make up some leafy green salads for your pet. 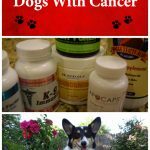 They also often require special light, special heat sources, and various supplements, such as calcium. None of this is prohibitively difficult, but it does take a bit of extra time and learning. (2) You can mail order crickets by the box load. Until I owned a lizard, I had no idea that you could mail order crickets! They would come in a box with mesh on the side, and you could see them moving around in there. I sometimes wonder what the mailman thought of it! (3) Crickets are noisy! 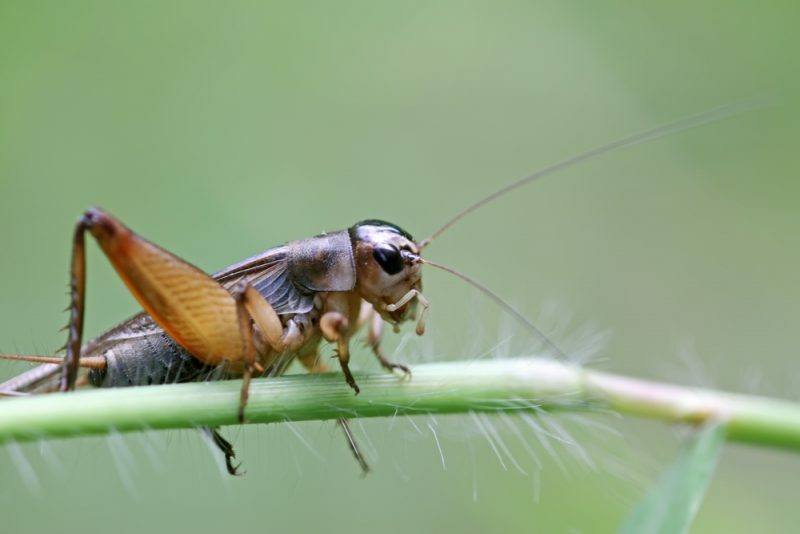 Ever had a chirping cricket in your house drive you nuts at night? Try hundreds of them! I kept mine in my basement, that way I couldn’t hear them. 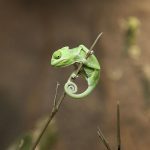 (4) Chameleons make feeding fun and they are not picky eaters. 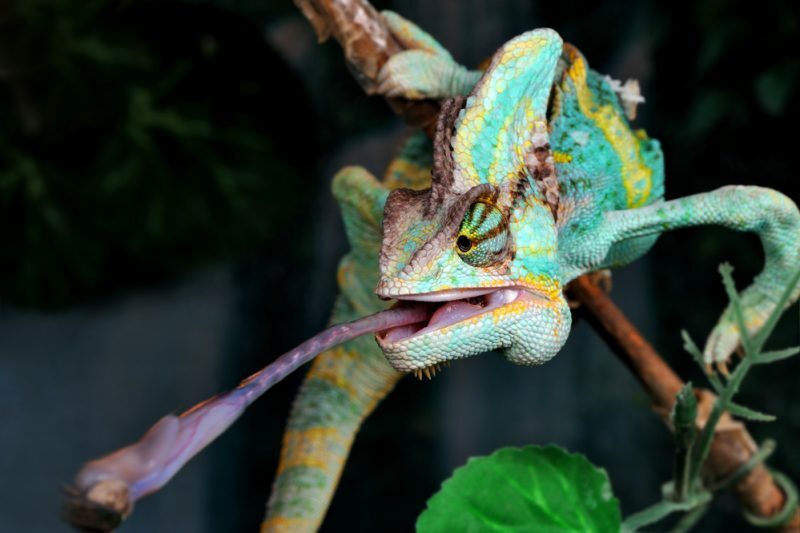 Chameleons shoot their tongues out like frogs to get their food. My Chameleon would eat just about anything, and one of his favorites was banana. He would try to shoot out his tongue to take it, but it wouldn’t stick, so he would then climb up my arm in order to get it. (5) Lizards have a lot of personality. I was surprised at how much personality my lizards had, especially my Chameleon. He recognized me and would happily climb up my arm, but he was wary of strangers. He had favorite places and quirky habits. It was fun! 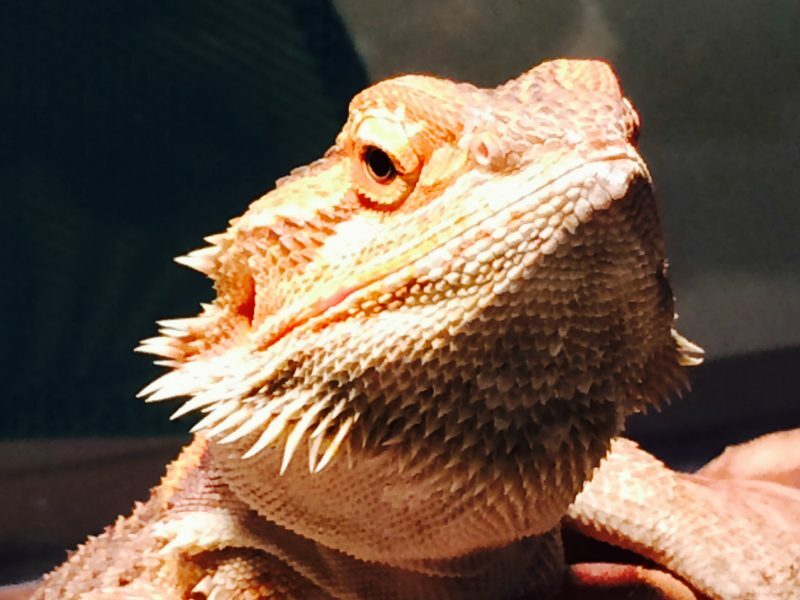 A friend of mine made the same comment about her Bearded Dragon (pictured below), noting that he recognizes people and displays particular personality traits. (6) Lizards shed their skin. I knew that snakes shed their skin, but I hadn’t thought about it with lizards until I owned them. My Common Tree Lizard would shed her skin in one big piece, just like a snake. She always did it at night, and I never actually got to see it happen live. I would just find it in the cage in the morning. My Chameleon would shed it in patches over a period of a few days. 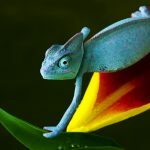 (7) Chameleons can turn their eyes in all directions. 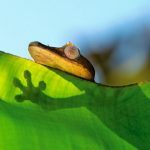 It is rather interesting to watch a chameleon turn its eyes. They can move their eyes to look behind them without ever turning their head. They also can move them in different directions with one eye looking forward and the other looking back. This lets the chameleon see on all sides and process images from different directions simultaneously. 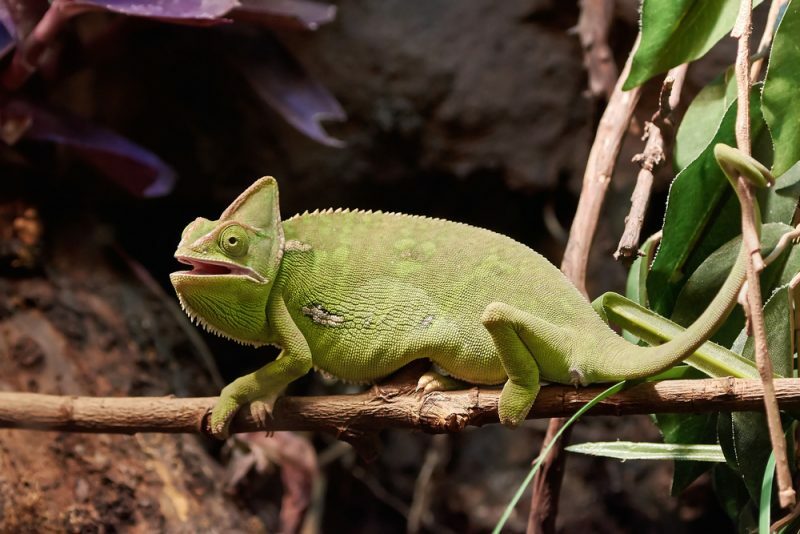 When a Chameleon sees food, it turns his head to face the prey, which allows both eyes to point in the same direction and switch to binocular vision. It is very unique! (8) Life with Lizards is fun. Life with a lizard really is neat. They are fun animals to watch and are great companions. With the right care, they can be a wonderful pet for many years . 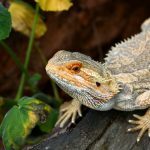 You can chose your own reptile pet at the Reptile Purchase Center and learn all about proper care at the PetMd Reptile Care Center. Those are great photos. When I really look at them I see that the chameleon is quite beautiful. I remember seeing them wild when I lived in Oklahoma and found their color changing ability rather fascinating. I never thought of the cricket aspect. That’d drive my cats wild, too (they munch ’em). Great info! Reptiles are so neat! We don’t have any but I’ve always been interested in them. Maybe some day! Your reptiles sound awesome! I’ve always been very curious about reptiles though I’ve never owned one. I think the cricket noise would drive me bonkers too. Putting them in the basement is a great idea. What a wonderful and informative post! 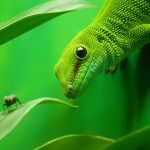 Thank you for sharing your knowledge with us – reptiles be cool!! AGH, I love chameleons so much. I would love to have a lizrd, but I worry my puggle would think they were for chasing and/or incessantly barking at. They are so very pretty though. Very interesting. 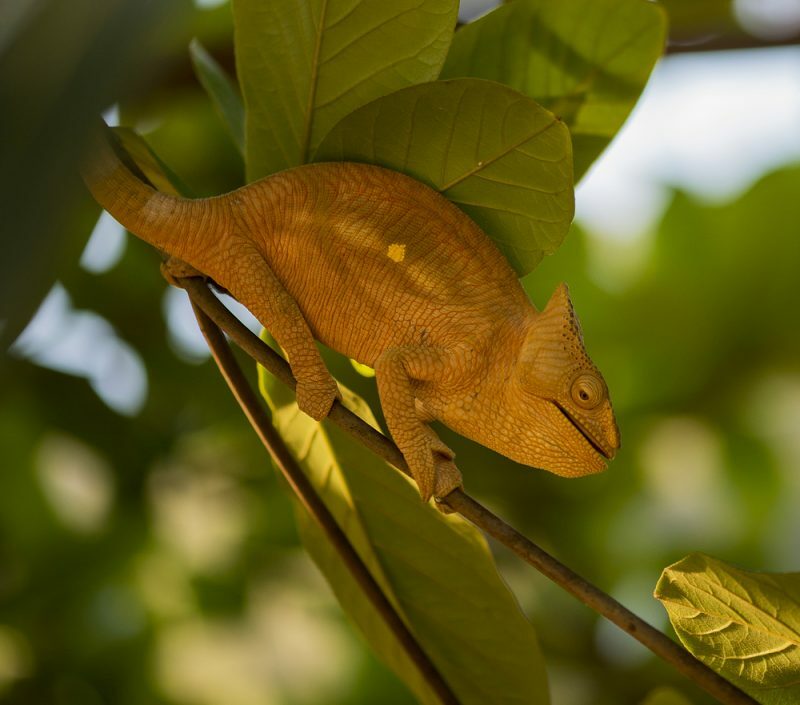 How many times have you seen your chameleon change colors? I would love to have a reptile for a pet but am not sure which best suits my life. 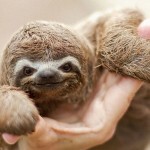 However this is a beautiful creature. We had a chameleon and it was awesome! The only thing I didn’t like was going to the store to buy crickets (and after a while, I felt guilty about feeding them to the chameleon.) Our chameleon was very social and liked to sit on my son’s shoulder. 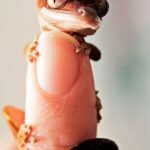 Reptiles can make great pets! I really love learning about reptiles!!!!! SO cool!! !